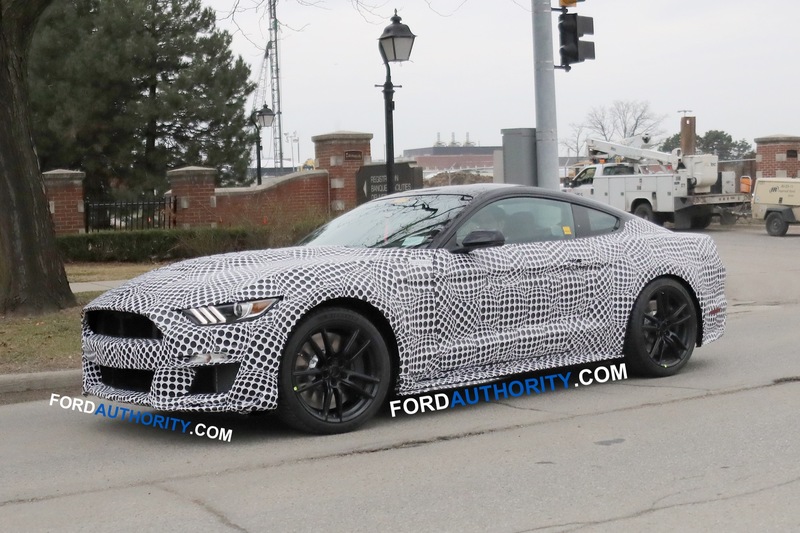 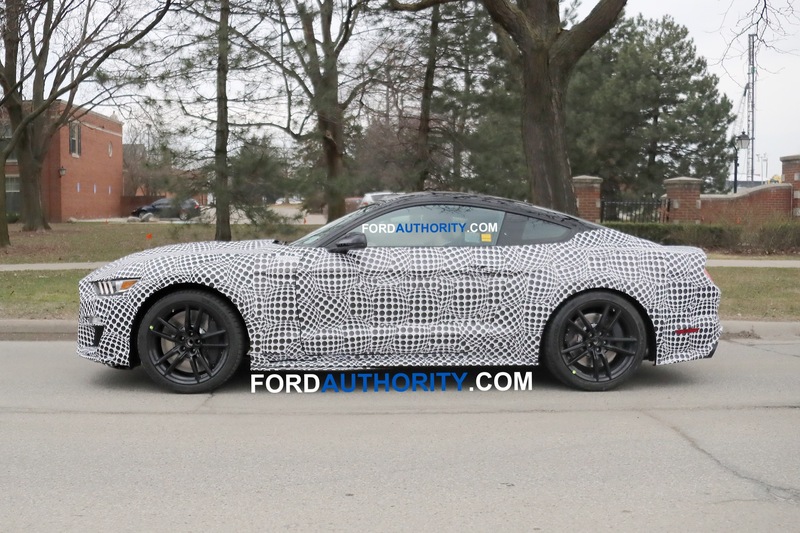 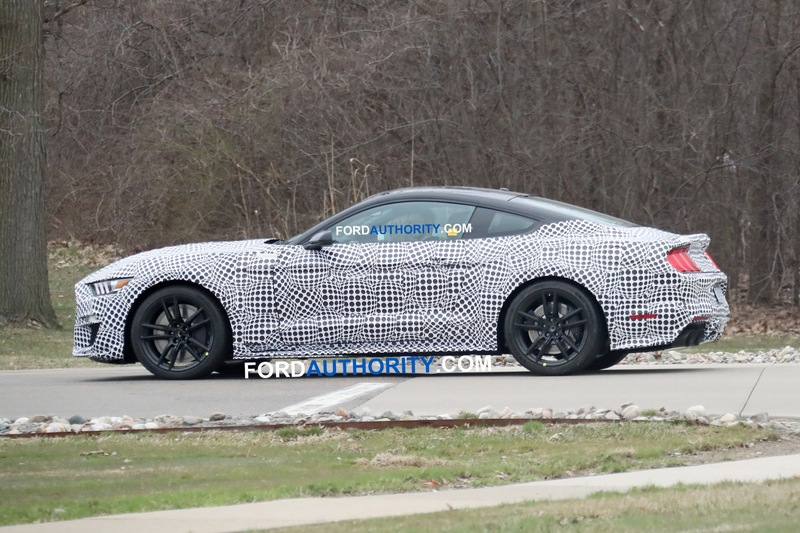 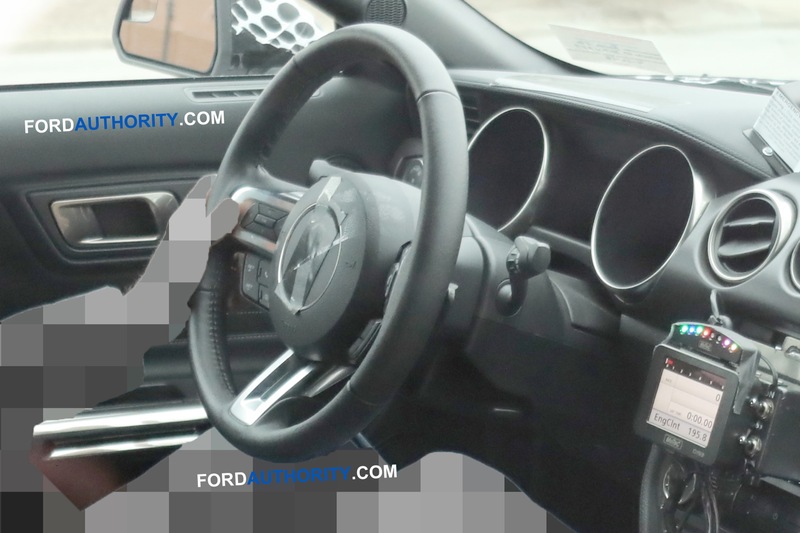 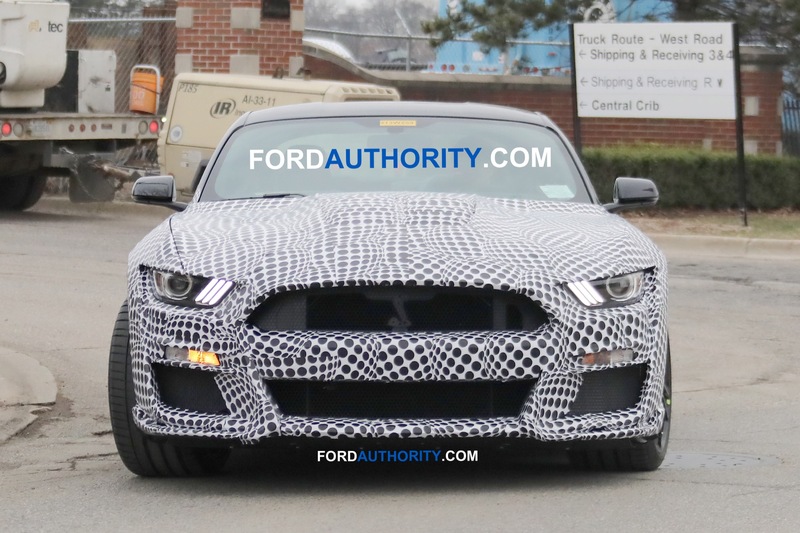 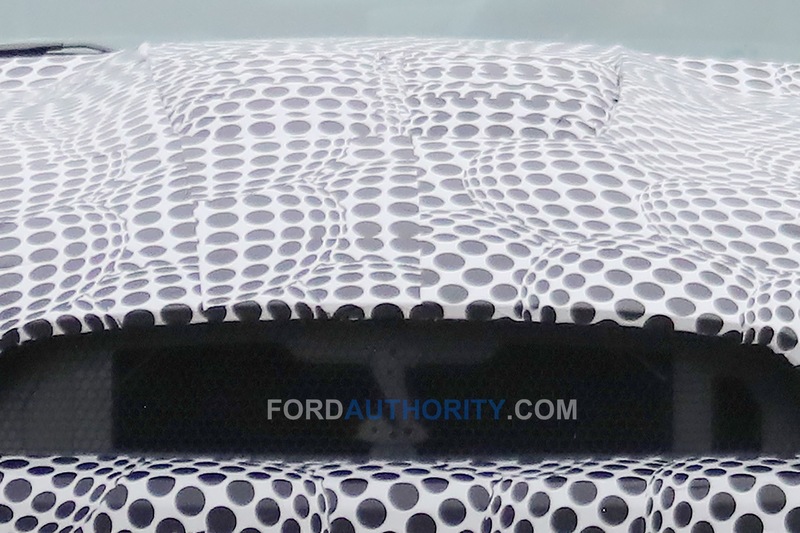 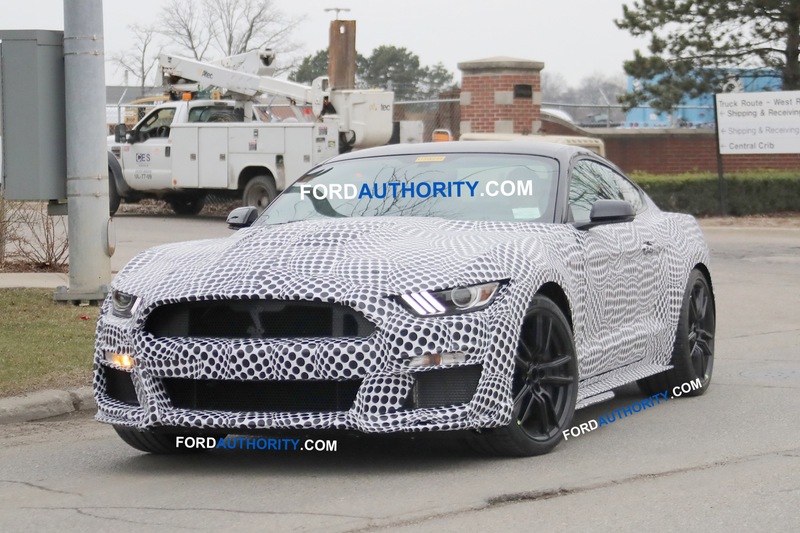 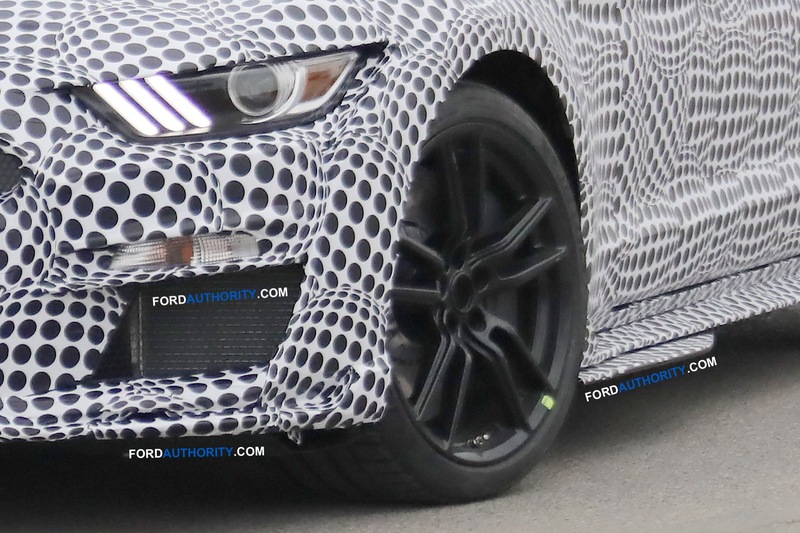 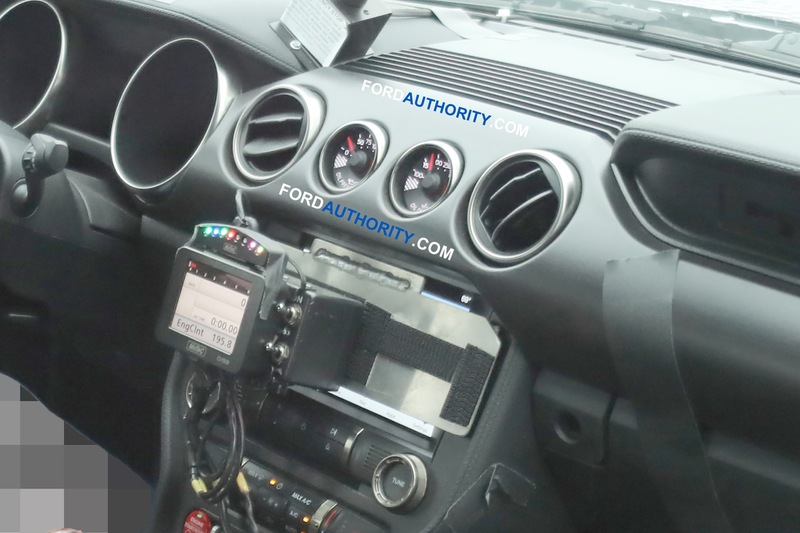 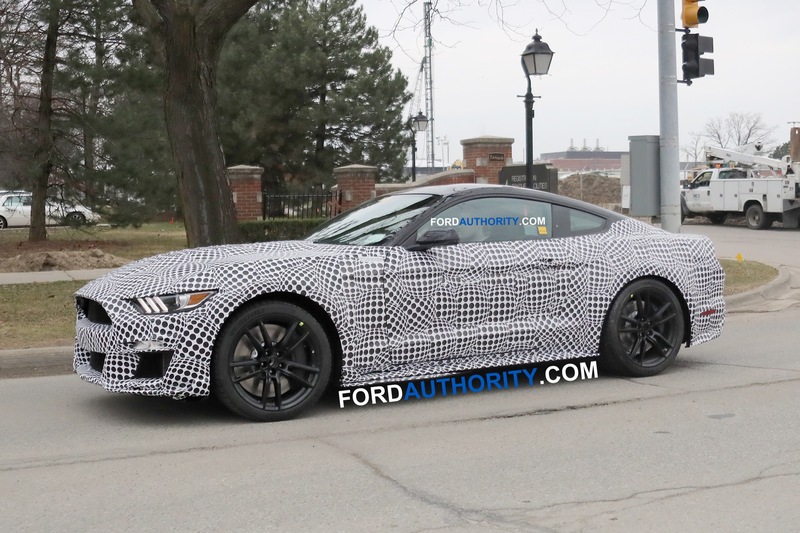 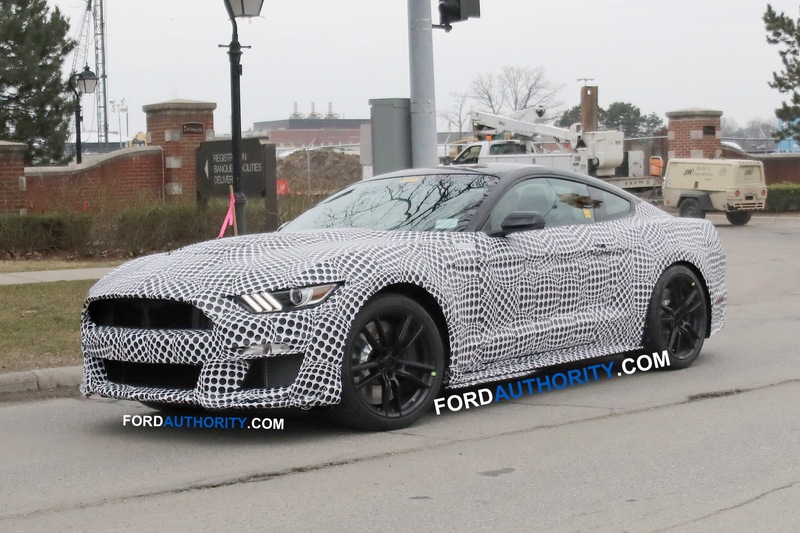 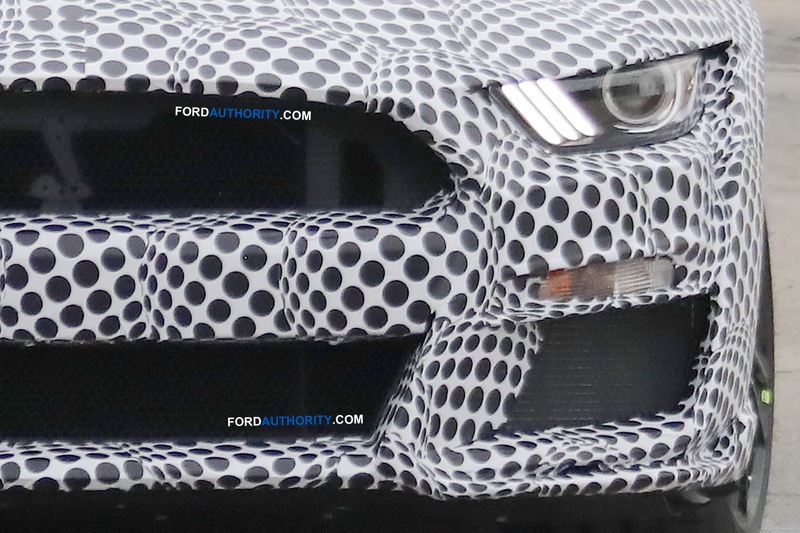 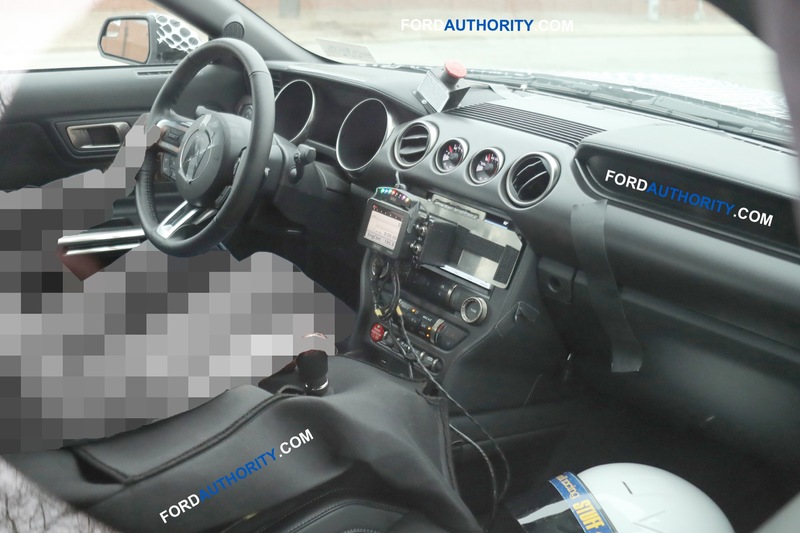 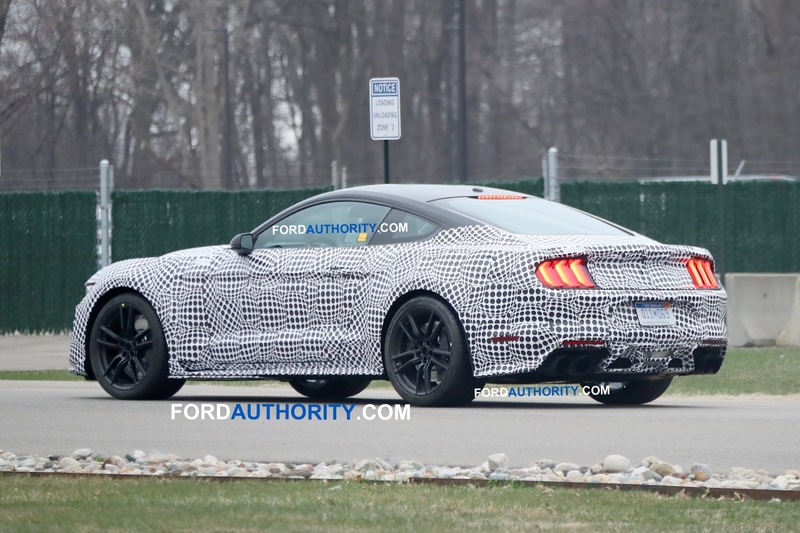 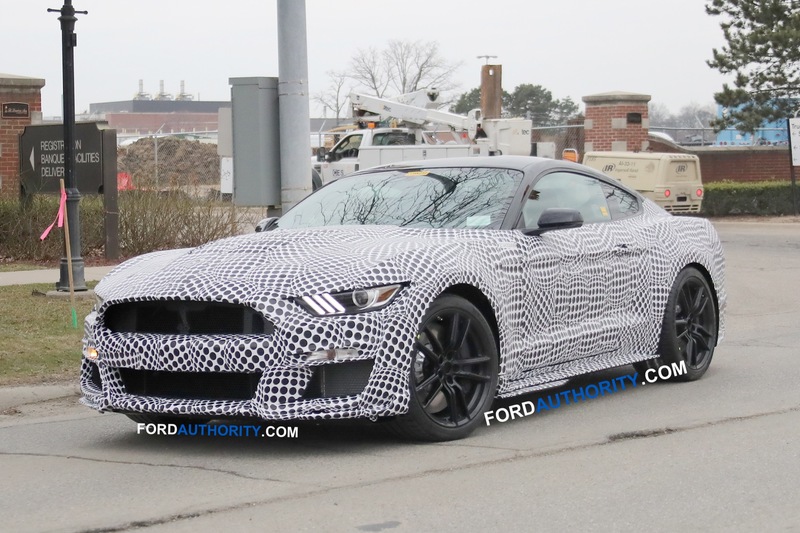 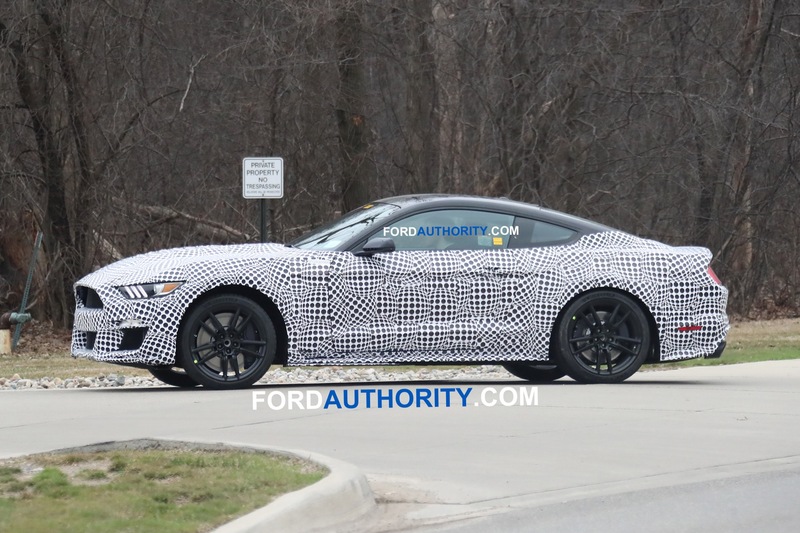 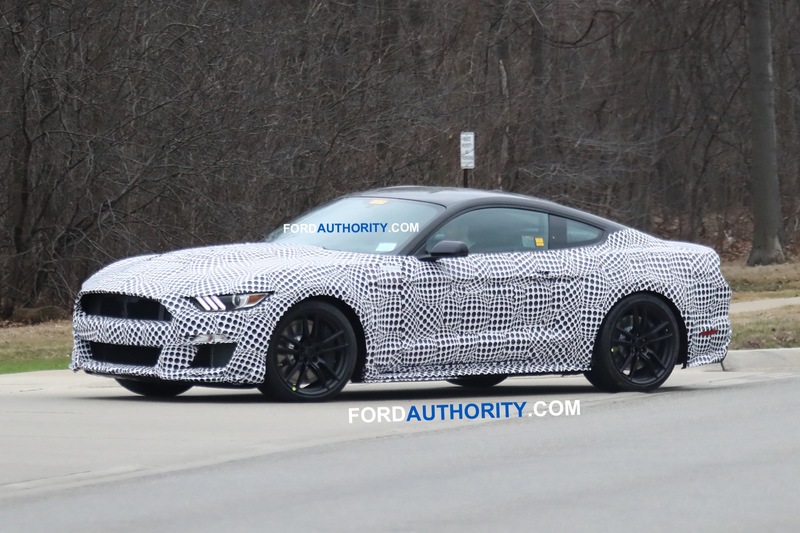 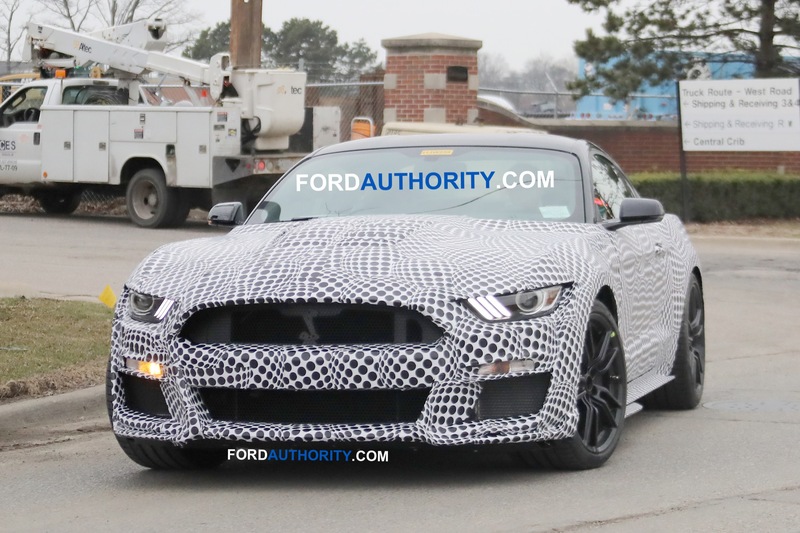 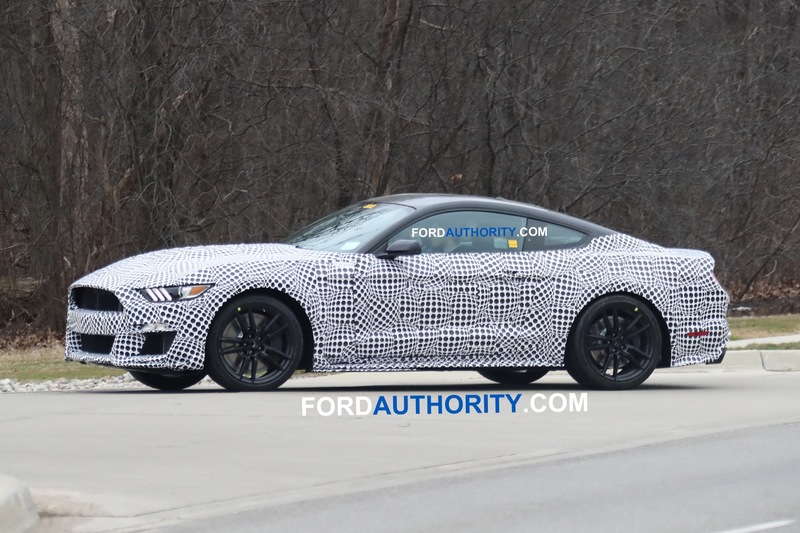 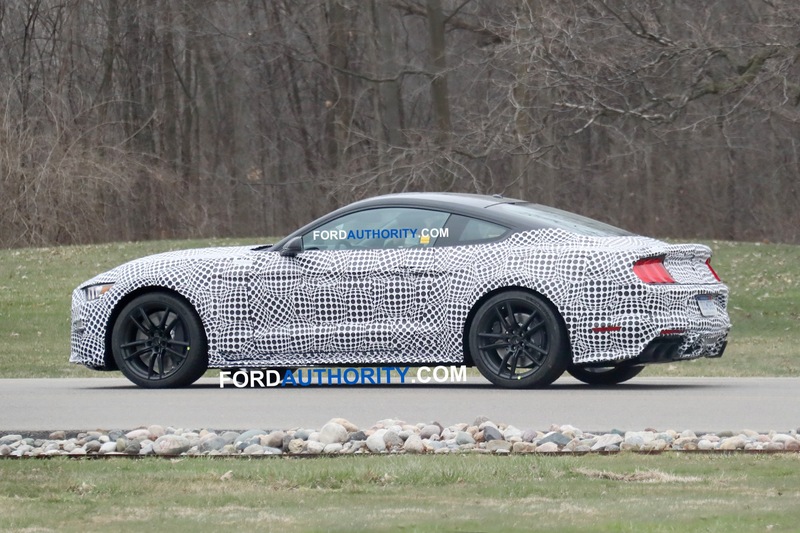 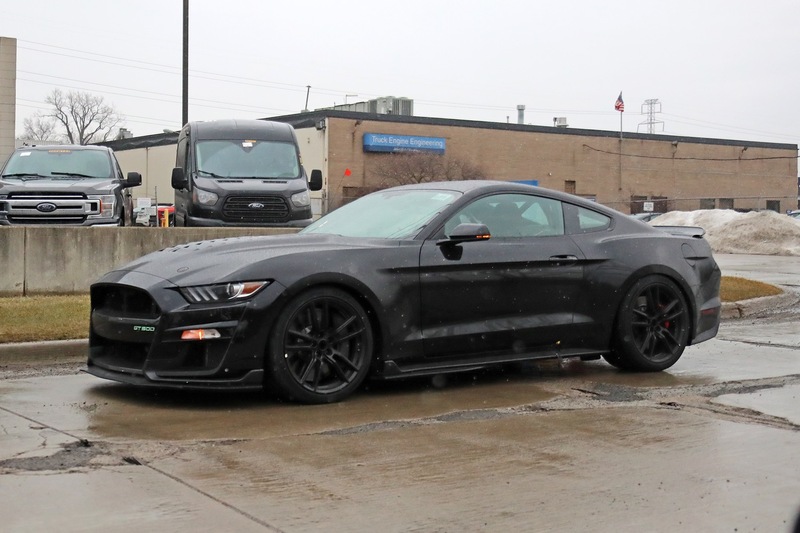 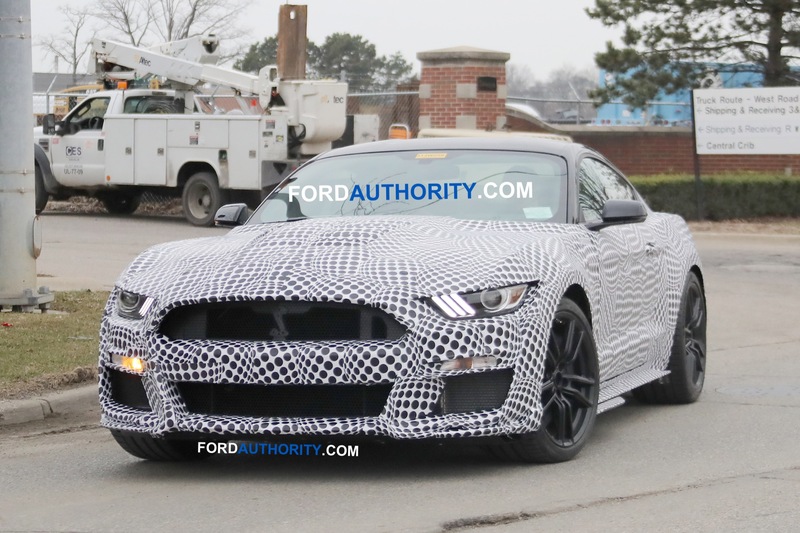 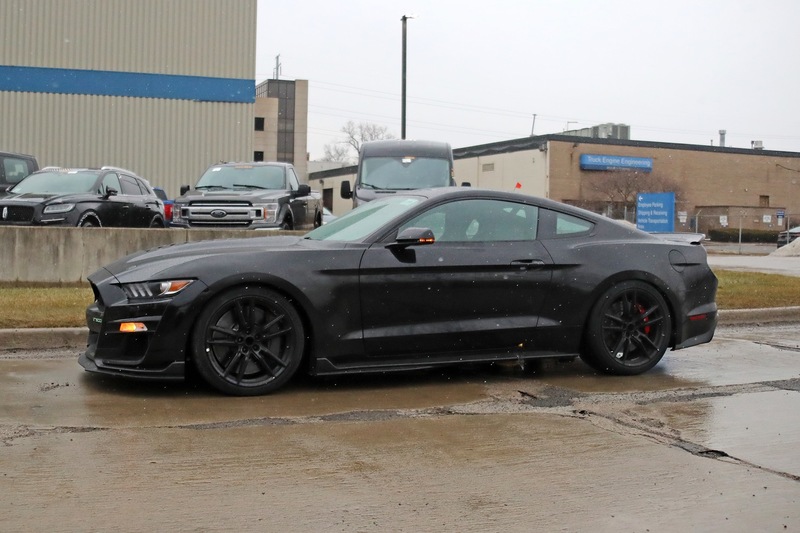 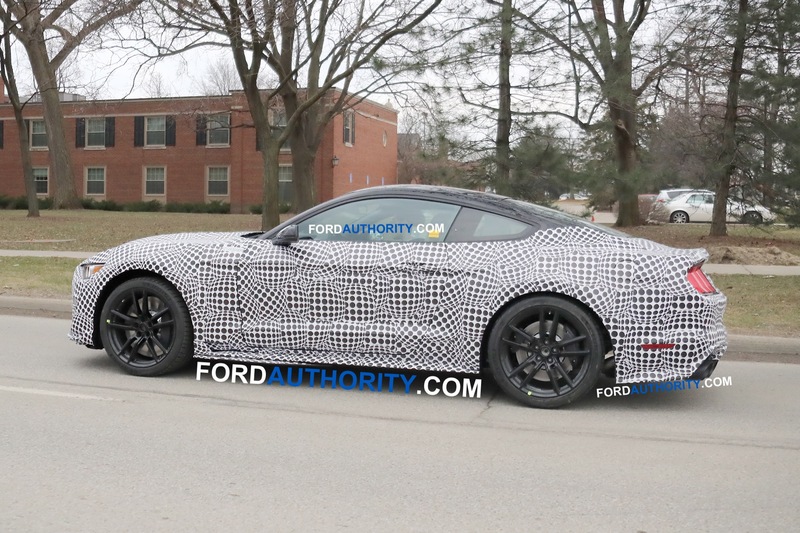 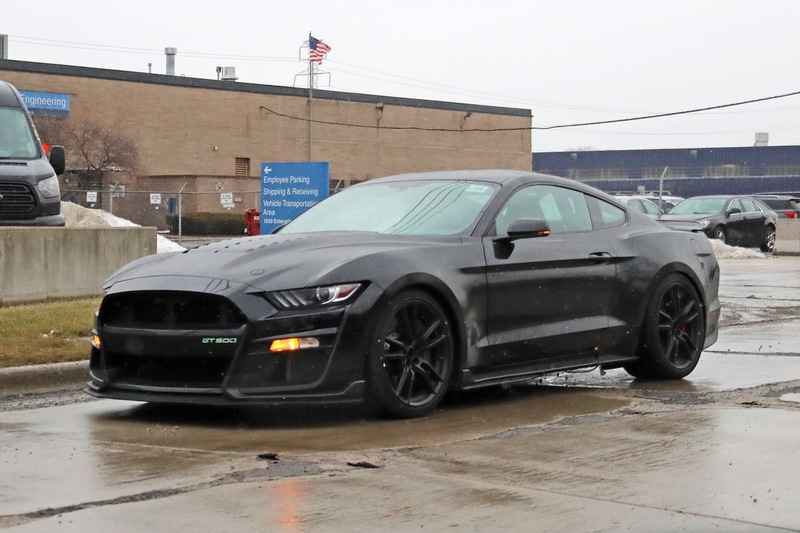 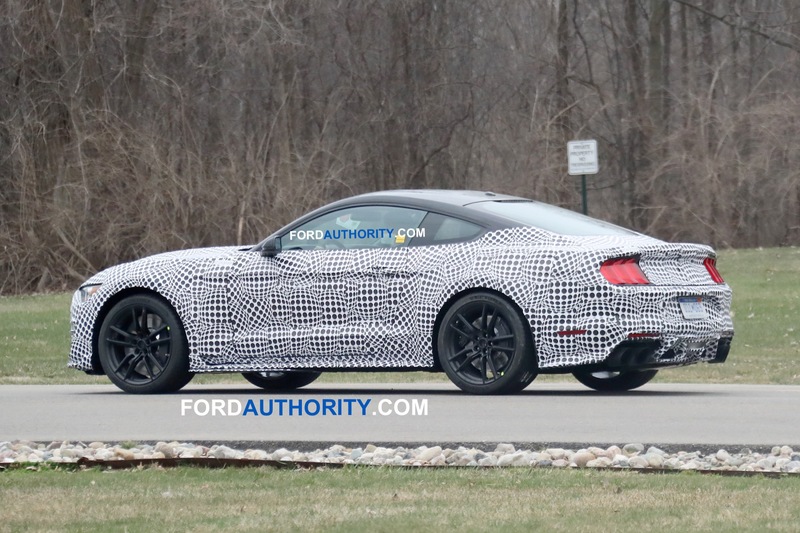 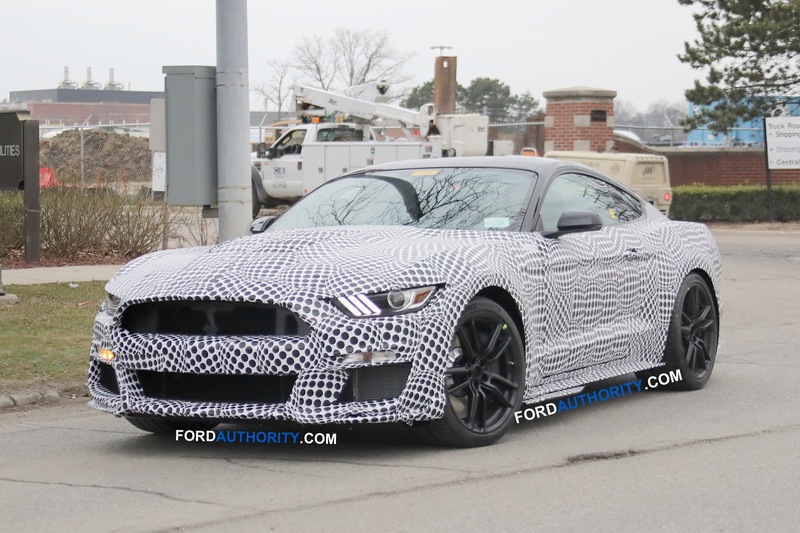 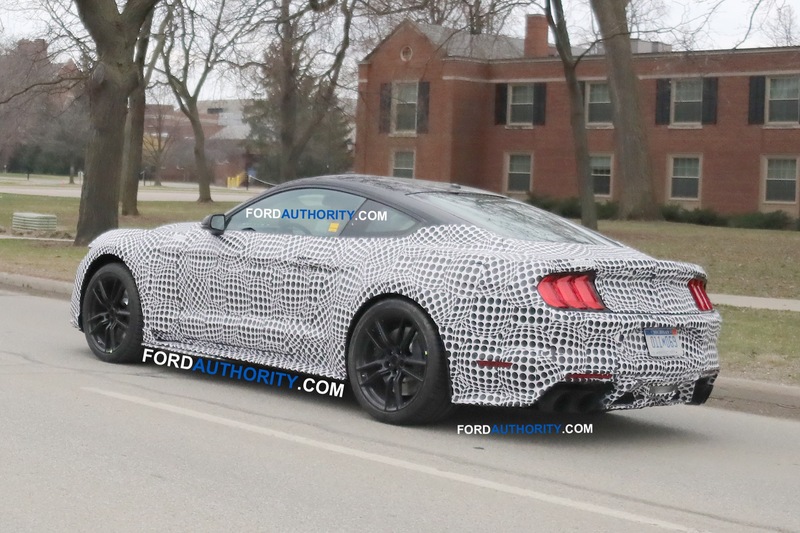 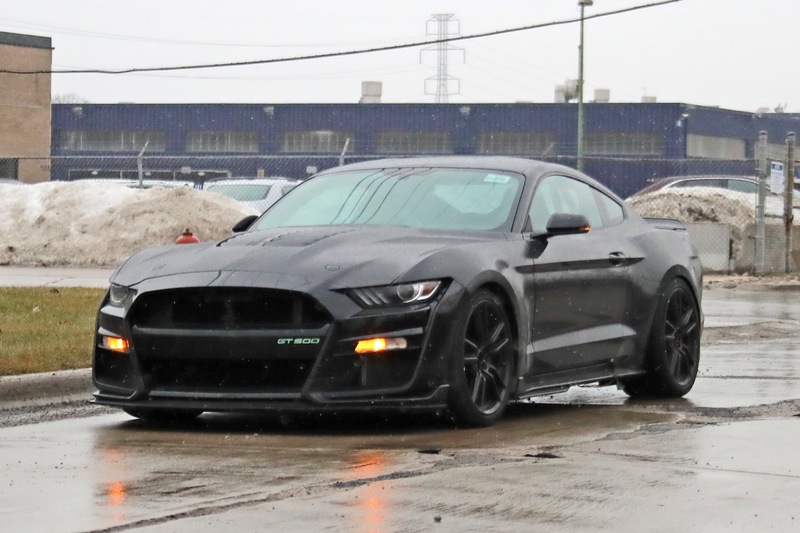 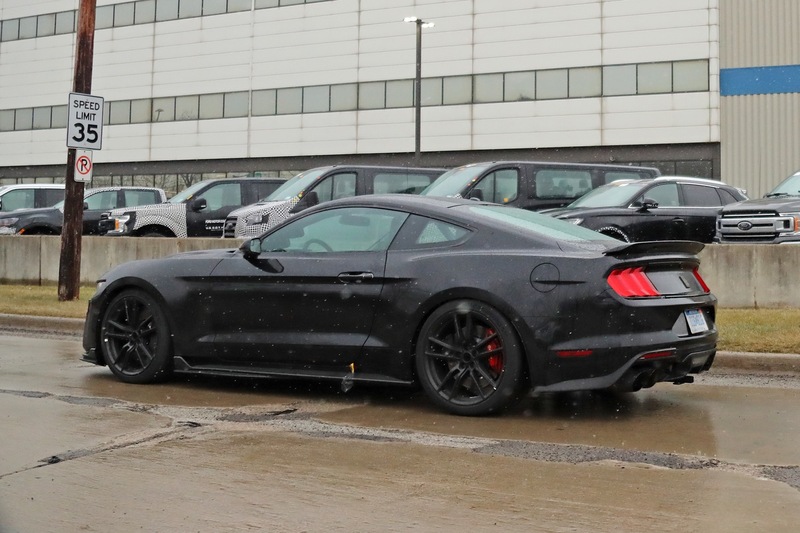 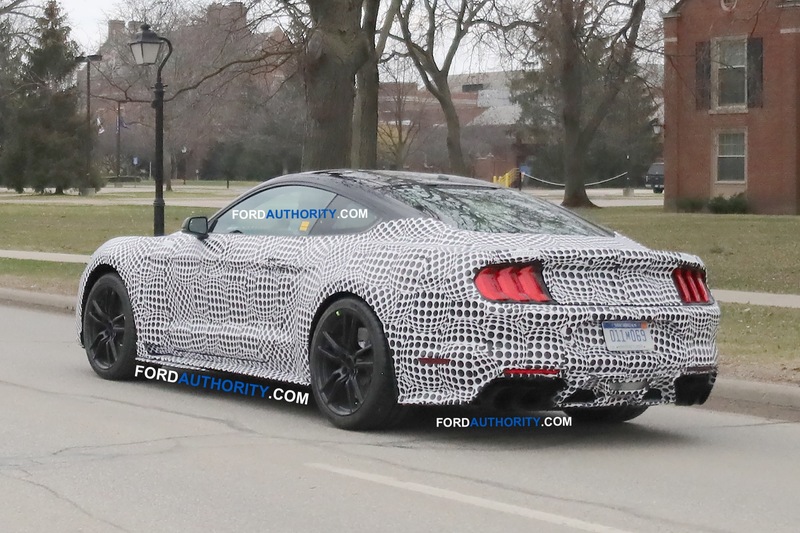 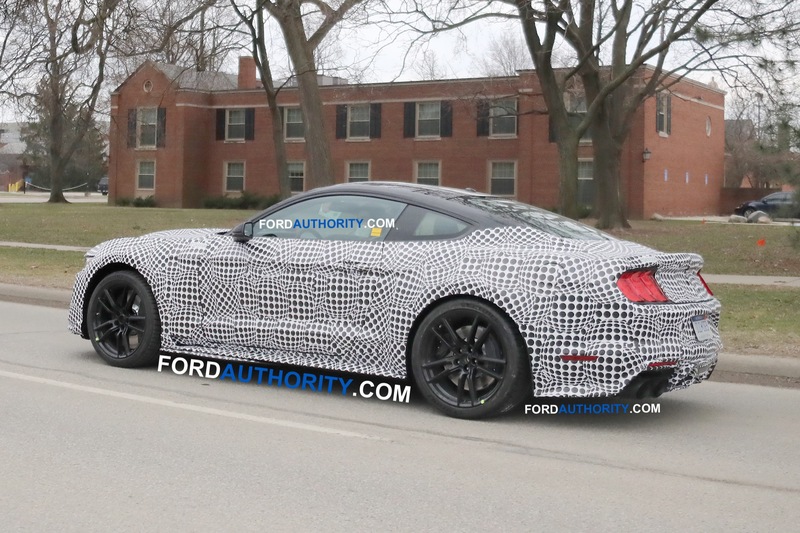 The upcoming 2020 Ford Mustang Shelby GT500 has been spied undergoing testing various times before, but today’s new spy pictures show the future king of Ford’s pony car family with less camouflage. 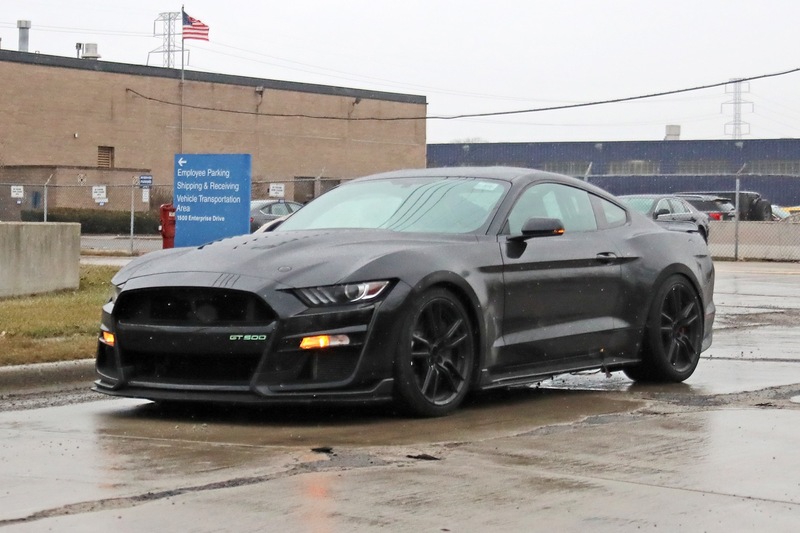 What we see on this prototype are its unique styling elements in greater detail, including a reworked front facia with larger air intakes, a hood with a massive bulge and heat extractors, along with a side diffuser that runs stops in the middle of the door. 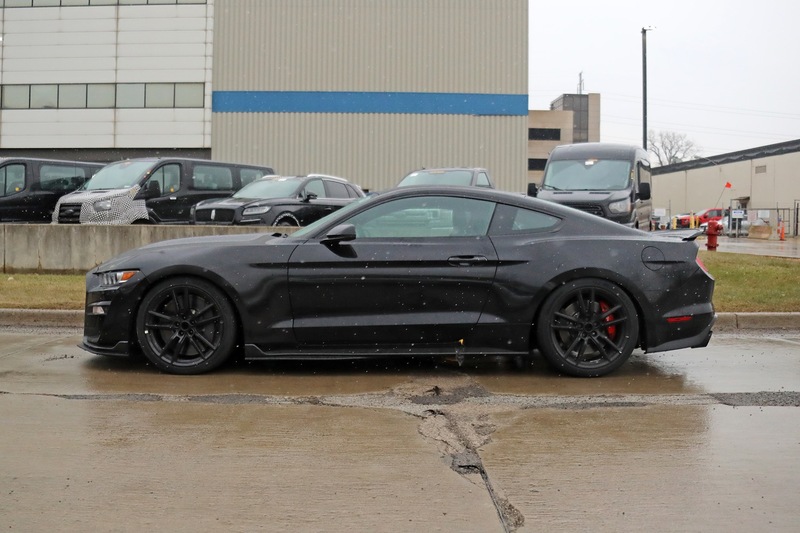 Large 20-inch wheels round out the aggressive stance. 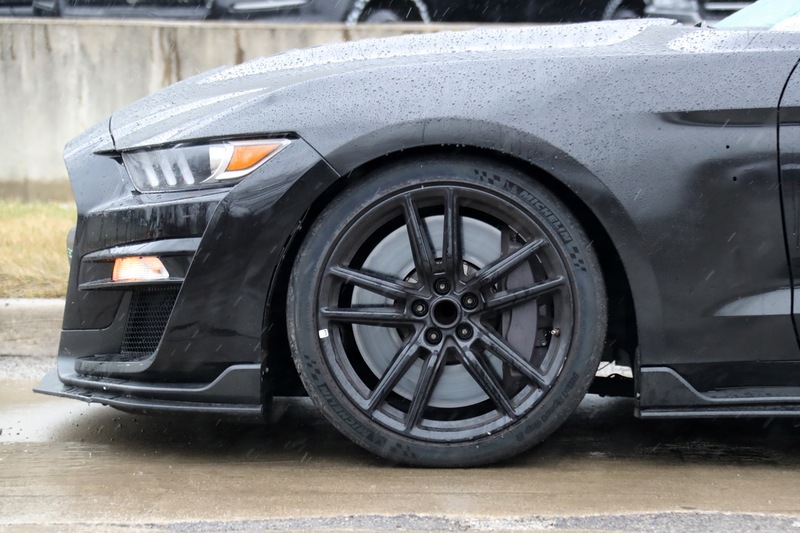 Massive braking hardware can be clearly seen when looking through the design patterns of the wheels. 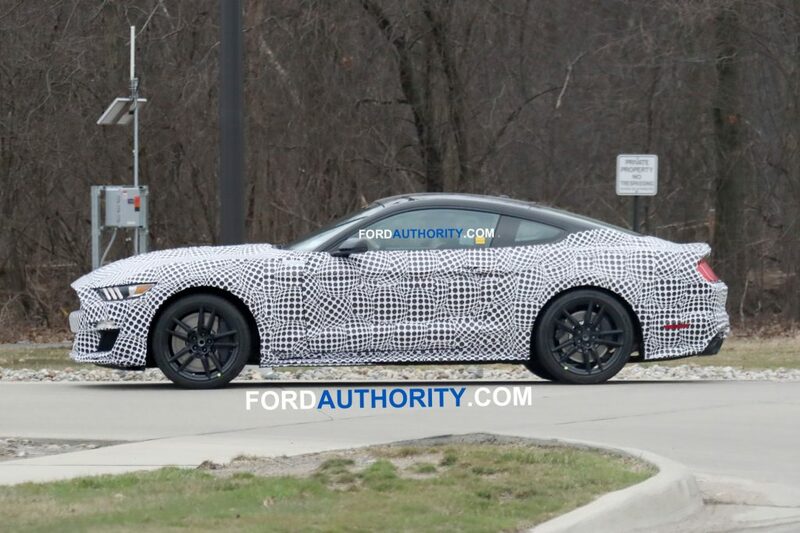 The new GT500 will build on the performance attributes of the Mustang Shelby GT350. 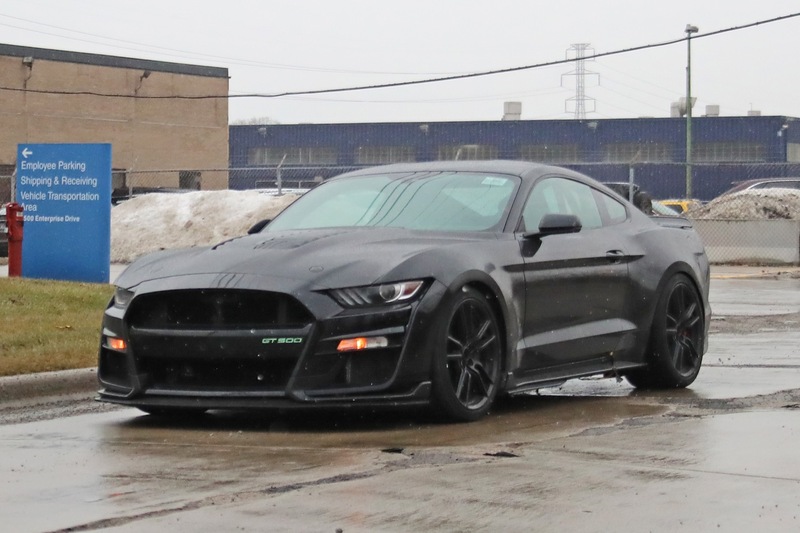 It was initially believed that the monster will be powered by a supercharged variant of the flat-plane crank V-8, but it now looks like a cross-plane crank motor will be used instead. 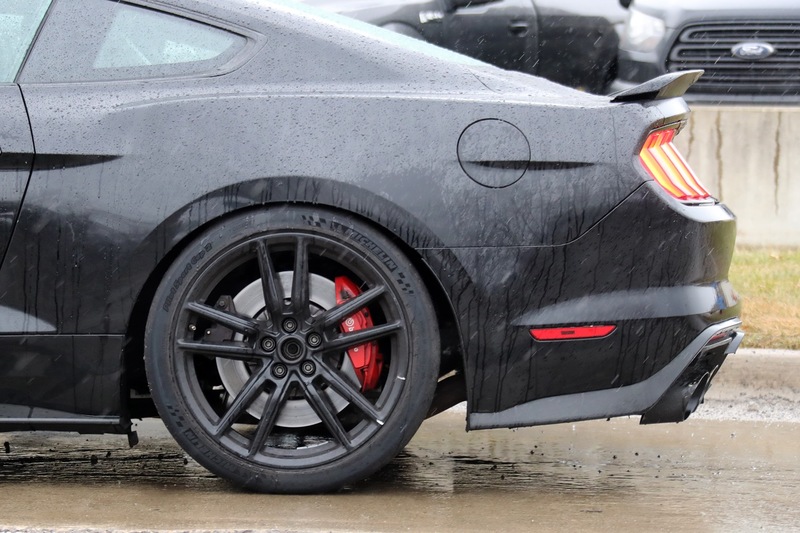 Power should come in around the 740-750 horsepower mark, exceeding the 707 horses made by the Dodge Challenger Hellcat while falling short of the 808 horsepower Challenger Demon. 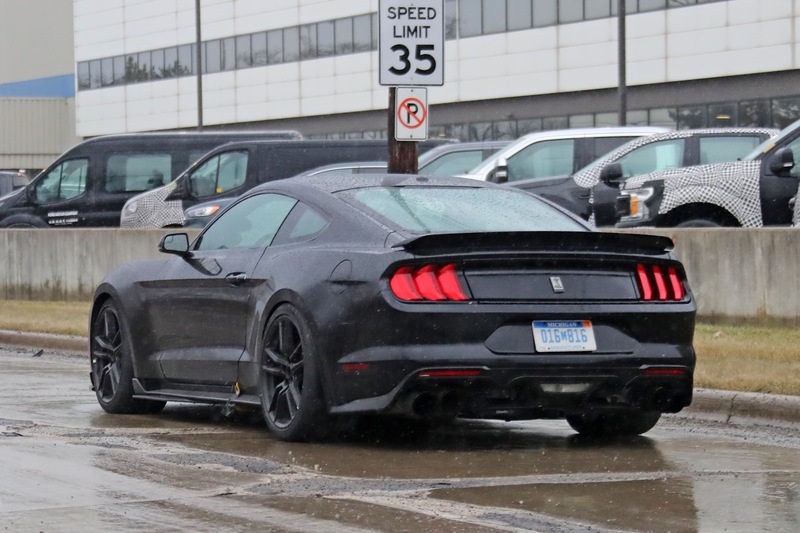 The Chevrolet Camaro ZL1, by comparison, makes 640 horses from its supercharged push-rod V-8. 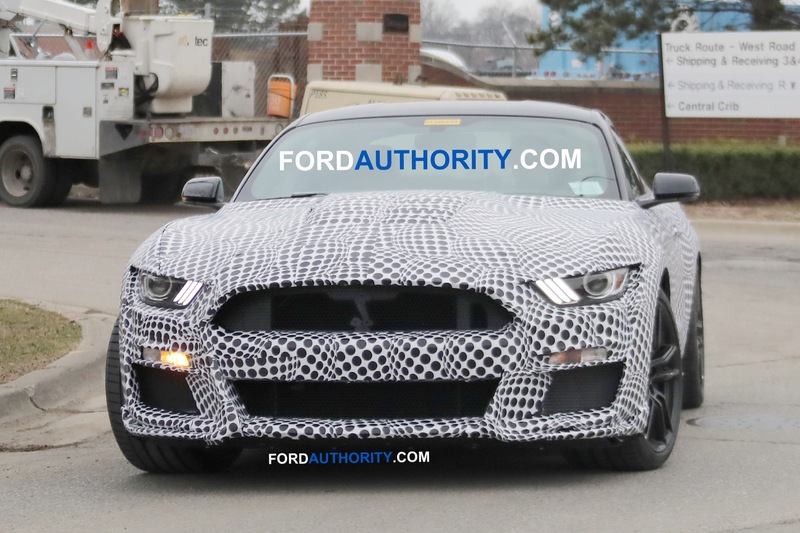 Expect to see the 2020 Ford Mustang Shelby GT500 unveiled later this year, with customer deliveries commencing in the beginning of 2019. 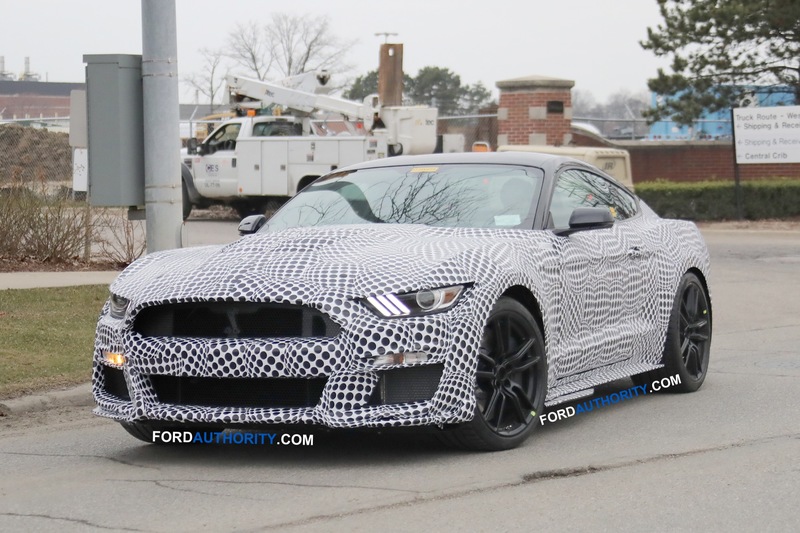 The Shelby GT500 will slot above the Shelby GT350 in the Ford Mustang lineup.